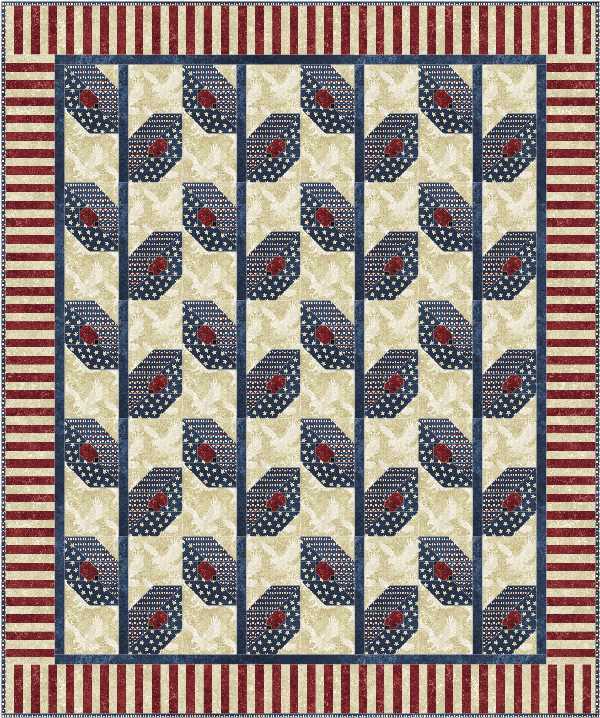 Welcome to Quiltmaker’s “100 Blocks” visitors! Just about a year ago, an invitation to participate in Quiltmaker’s 100 Blocks Volume 3 is what got me into the blogosphere! How time flies! 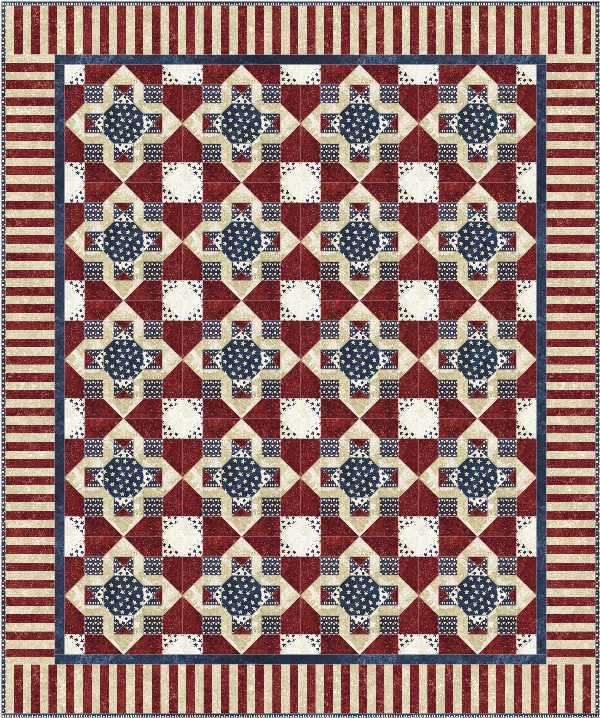 While I don’t have a block in the latest issue,Volume 5 , I know several quilters who do. I want to send a shout-out to Laura Blanchard of Plum Tree Quilts (block #449), Beth Ferrier of Applewood Farm (block #430), Chris Hoover of Whirligig Designs (block #470), and Celine Perkins of Perkins Dry Goods (block #491). 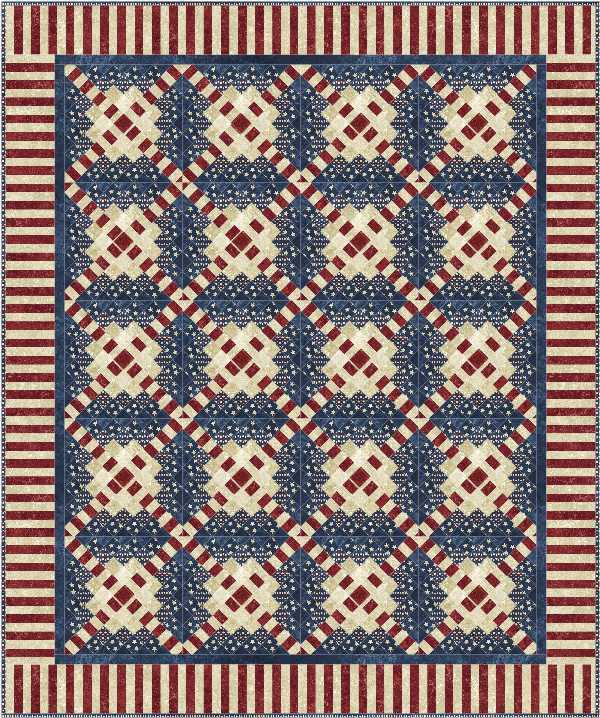 These talented quilters are part of Northcott’s quilt pattern design team. I also see some lovely Northcott fabrics used in block #462 by former Quiltmaker graphic designer Theresa Eisinger and block #497 by Quiltmaker graphic designer Denise Stark, and in gallery quilts #2 (Jane Spolar’s Bollywood Bliss is used in Oh, The Places We Go by Nikki Rainey) and #8 (Lakeside Cottage is used in Sample This by Carol Streif). I can’t decide which one I like the best, so I need your help. 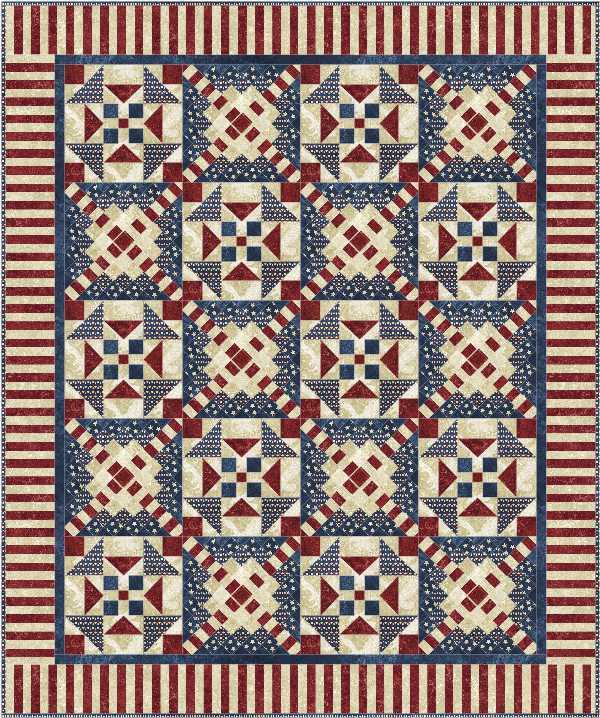 For your chance to win a copy of Quiltmaker’s 100 Blocks Volume 5, post a comment on which one is your favorite by 11:59pm Thursday May 3, and we’ll see what the results are. 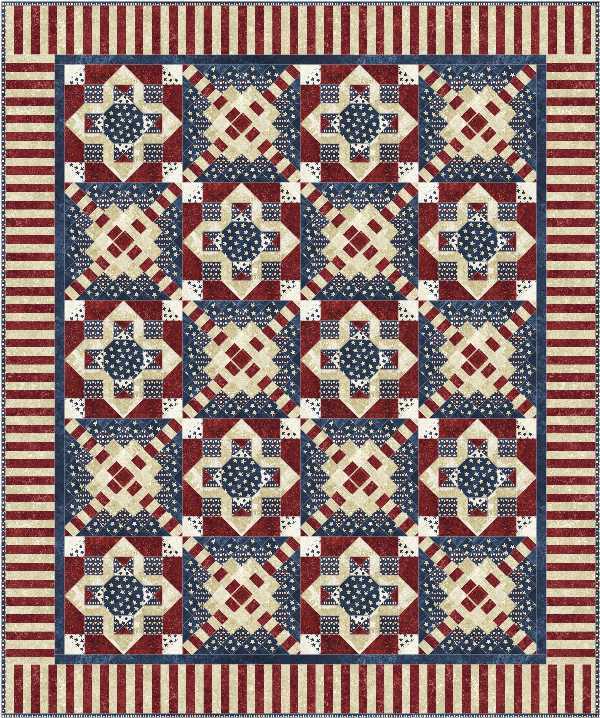 I will also throw in a couple of Stars & Stripes fabric prize packs for additional chances. Canadian visitors can receive a pack of Oh Canada fabrics instead if they win. Good luck!